Superights - Superights inks a package deal with Télé-Québec! Superights inks a package deal with Télé-Québec! French distributor Superights secured a television and digital package deal with Télé-Québec (French Canada) for five youth programs. 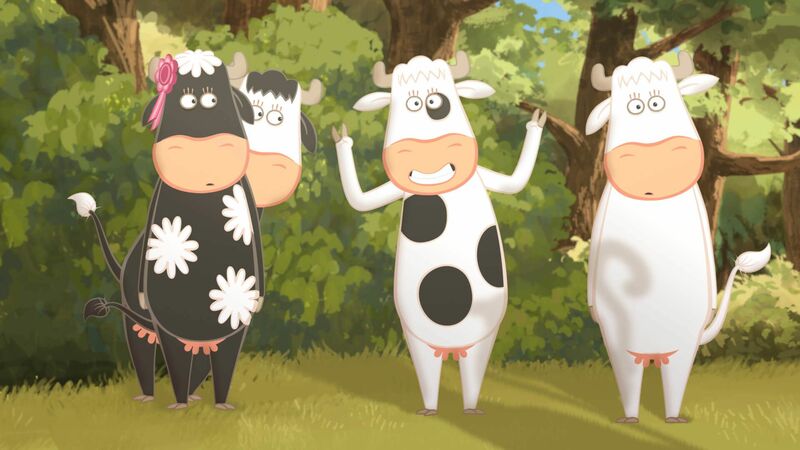 The series will be launched on the two new FVOD platforms of the broadcaster, Coucou coucou.telequebec.tv for preschoolers (3-5 years old) and Squat squat.telequebec.tv, for kids (6-12 years old). The deal includes the marvelous and educational travels of Moko the Young the Explorer (52×5’) and the collection of tales Story Time (26×13’), produced by Le Regard Sonore, the investigation comedy and its special Picnic with Cake (13×5’ + 1×26’), produced by Submarine, Walking the Dog and Tomavistas, the sweet and poetic universe of Clay Time (30×3’ + 30×1’30”) coming along with its tutorials, produced by Reaz, and the TV special and edutaining web series The Horn Quartet (1×26’+ 10×3’), produced by Vivement Lundi! “We are very proud that Télé-Québec choose these 5 titles to be part of the launch of its brand-new platforms. We wish Coucou & Squat to be a great success!” says Nathalie Pinguet, Deputy General Manager of Superights. “With its two new platforms, Coucou & Squat, Télé-Québec confirms its leadership in kids and youth programming fulfilling its edutainment role. We are very proud to offer an inspiring platform where they can discover may series along safe and smart games. All these fore free! We are looking forward to introducing Superights’ programs!” says Sophie Dufort, head of digital medias. In 2018, Télé-Québec celebrates its 50th birthday as a public media service with an educational and cultural vision in Québec. 50 years offering a unique programming strategy cultivating the taste of knowledge, learning, promoting an artistic and cultural life, reflecting the reality of the region and the diversity of Québec. Besides its headquarters located in Montreal, the company have 10 local offices.